Discussion in 'Support' started by Tama, Mar 6, 2016. While the dev team is still working on getting steam's automatic crashdump system up-and-running, here are instructions on how to get crashdump files which you can send through the support forum. If you send us a crashdump file, we can fix the bug. Without it, it is nigh impossible. 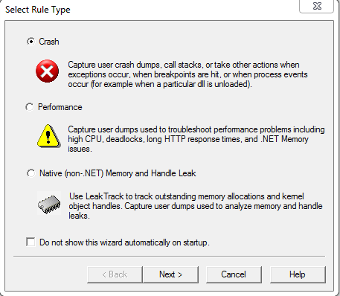 The steps below only need to be done once, after which crashdump files will appear whenever Empires crashes. 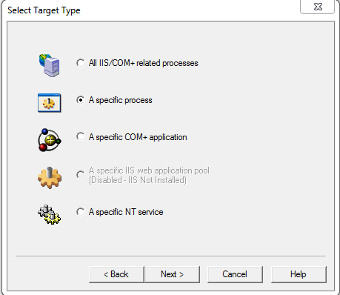 2) Start up "DebugDiag 2 Collection"
5) Click "Add Rule...", select Crash, then "A specific process"
8) Select a name, e.g. 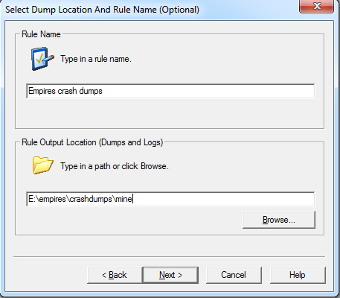 "Empires crash dumps" and a location; you will visit this folder whenever you want to send a crash report. 10) To the popup you get about Symbol Search path debugging, choose "Yes"
After these steps, whenever Empires crashes, you can open the mini dump directory you submitted, zip up and remove all the files ( so that you don't submit the same crash logs twice ), and start a thread in the support forum with the zip file attached. 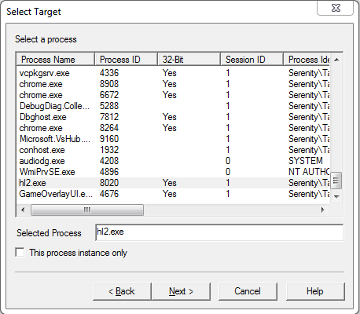 The only thing we really need is the .dmp file that contains the crash report, but there may be multiple files generated, and the .log also contains some useful information, so it is best to just submit everything. If there is too much to send, sort by last modified, send us the most recent stuff and discard the rest. Now, there are some false positives. When you start up Empires, 4 log files are generated for exception 0X406D1388, which is apparently thrown and handled by the engine. This is a big problem, because the 100 limit we set earlier will fill up in 25 sessions, so if the 26th session crashes, we get no crashlog, and no bugfix. There are two solutions possible; the first is to put 999999 as your limit, and watch the folder yourself to check it doesn't occupy your whole disk after a while. Paste that into a text editor such as Notepad, adjust the crash directory (and possibly your game directory, if you don't have Steam installed in the default directory), and save it as Empires-launcher.bat (be sure to select "All file types", not .txt). Instead of launching Empires through steam, double-click the bat file. These instructions were based on this Microsoft blog. nice this will come in very handy and useful. Thank you, I haven't crashed today. I know some COM's are crashing, at start of a match. I don't know if my APC crash issue is map specific, but it hasn't crashed for me today. I'll let others know about this as well. Also clicked Yes after step 9. After reading that microsoft blog link, they say to click yes. I'm now loaded for crash dumps using the newer update 2 version as well. Ready and waiting for my next crash. My Empires now "freeze" for now reason at different points. When first launching it, it took over 10s before it actually started. When joining a server on the motd there's a 10s freeze. When joining a team and probably more. and that second time the crashdump thingy wasn't even launched. What does that stuff do? and does it run even when it's not launched? Edit: it actually seems to only do it once. It runs as a service in the background all the time; whenever an exception is thrown, a mini-dump file (.dmp) is written to the directory you specified, and then the exception is allowed to propagate. Sometimes, this exception will lead to a crash. Please open DebugDiag 2 Collection again and press "Edit rule". 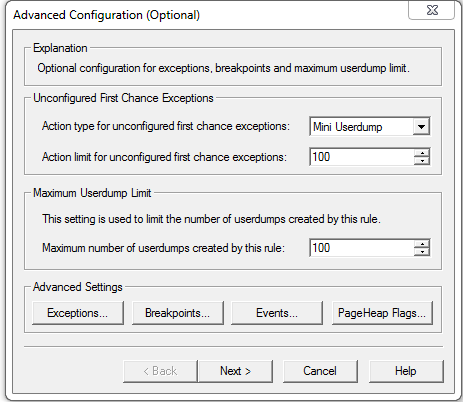 Check that the action type specified is "Mini Userdump". When I had it set to Full Userdump, I experienced 10s freezes like you described. If that's not the case, I'm afraid your system is simply that slow at writing the userdump file. Perhaps check the performance of the disk where you specified to write logfiles. If that's over usb or on the network, or if you have a better disk to use (SSD? 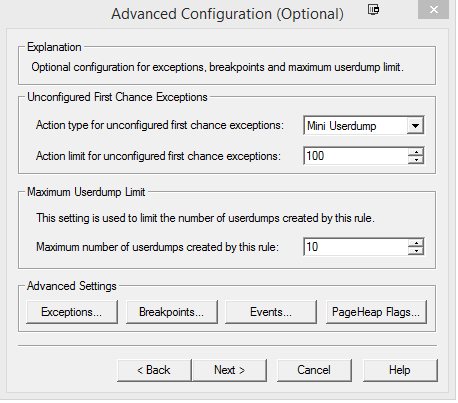 ), then perhaps you can decrease the time it takes to write a dump file. Yeah I made it write to my HDD instead of my SSD, since it's usually in sleep mode it must be booting every time hence the 10s, I'll switch. DebugDiag reported 5 minidumps available at the end of my game session yesterday. Unfortunately I had closed empires before seeing the messages and when I tried to save, there was no data. Next time I'll check DD before closing.